The following story was sent to us by Nikita Seth. 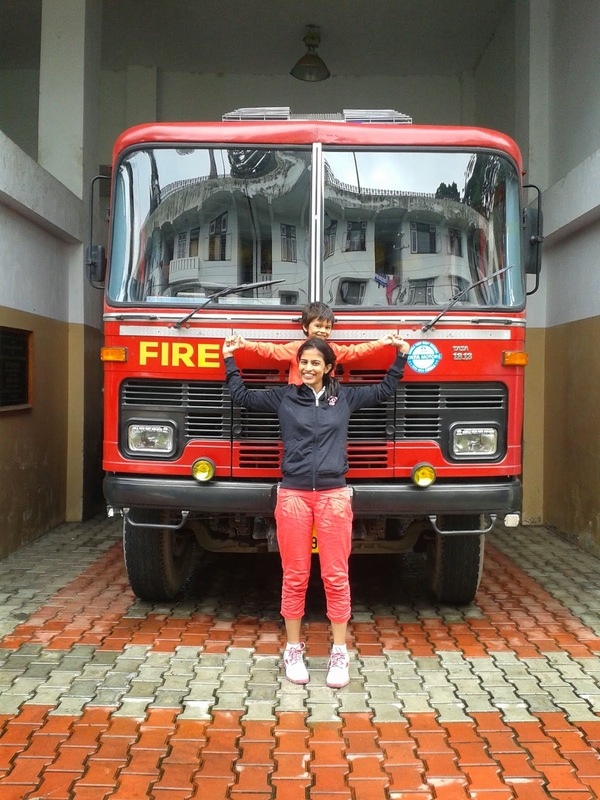 Nikita is a market research analyst by profession and a mother to a 2.5 year son. After completing her course on 'Early Child Care and Education' in early 2013, she tries to spend time with kids, be it neighbours or friends of her son, in engaging them in 'anything other than the television!' :-) Handwork, craft, reading books and being out in the nature with kids are her favourites.She has realized the importance of reading stories aloud to kids and thus loves to spread this joy, whenever she gets the opportunity. 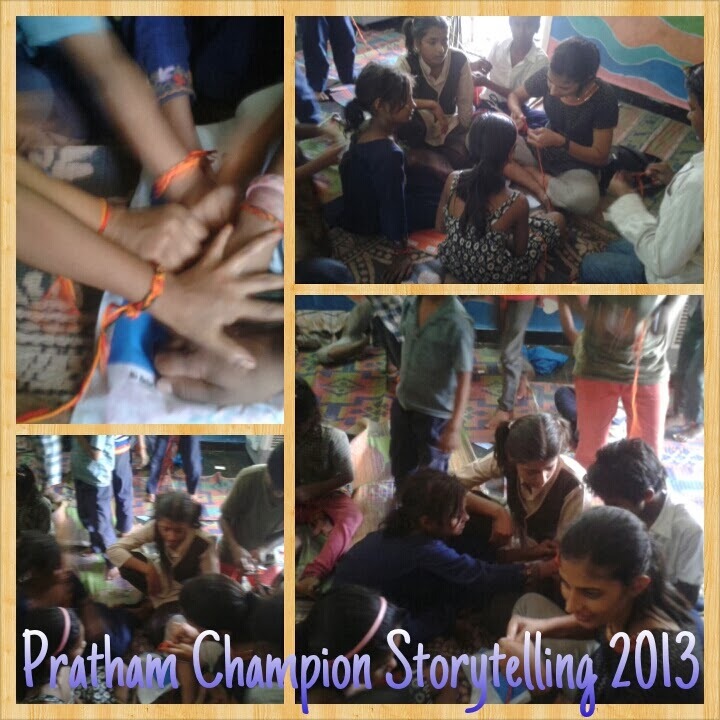 This year's storytelling session was a beautiful storytelling with children here in Delhi, conducted at a Center for Street Children, in Lajpat Nagar . It went well, one because this was my second, and so I had the confidence and the right preparation to be well-connected with the children and second probably was because throughout this last year I have been doing way too many story activities (reading aloud and making up stories on the smallest of things) with Aahan my 2.5 year old boy, who just enjoys stories......and so it seems to be getting better every time! 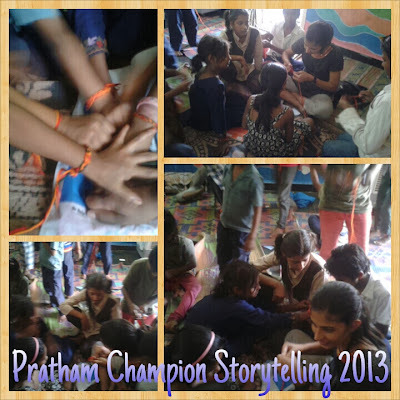 I chose two different stories this year for the kids they were called the 'Rooster and the Sun' followed by another one on the 'Lions of the Gir forest', both were conducted in hindi....the children were very participative, and came up with lovely creative answers when prompted. The International Literacy Day for me has become a reminder to keep the love of reading stories out alive....and at the same time taking out some time in the year to reach out to children, other than your immediate family and connect with them for that one hour and feel happy and satisfied to see that they have enjoyed themselves tremendously.